When reflecting upon 2017, one thing is clear: It has been a great year for HITS! We have welcomed guests from all around the globe for a wide range of events. We have had a chance to catch up with HITS alumni. We have conducted research, published results, evaluated our work – and we have received several awards for it: Andreas Bauswein successfully acquired a Starting Grant from the European Research Council (ERC), Frauke Gräter was awarded the ‘PRACE Ada Lovelace Award 2017’, and three of our scientists once again made it onto the list of ‘Highly Cited Researchers’. With Christmas approaching quickly, it is important to us to extend a helping hand to those in need. Therefore, we have decided to donate money to a charity organization instead of investing in Christmas presents for our friends and partners. We have been allocated € 5,000 by the Klaus Tschira Foundation for this purpose, and the entire sum will be donated to the ‘Waldpiraten Heidelberg’ – a camp run by the German Children Cancer Foundation. As this successful and busy year draws to an end, we look forward to the coming holiday season. 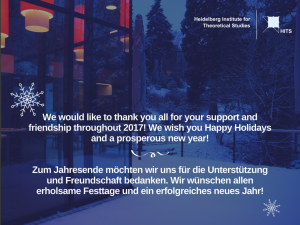 We wish you all Happy Holidays and a successful New Year! 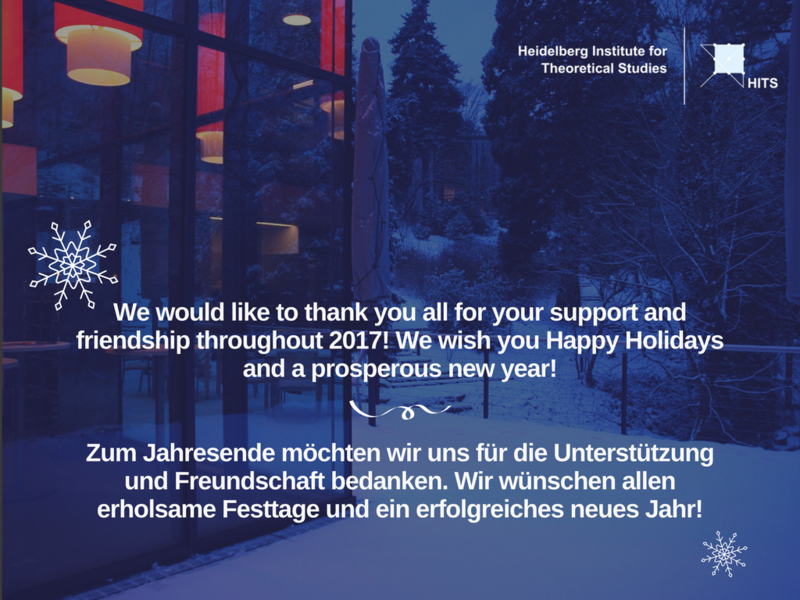 We hope that 2018 will be just as wonderful as the past year has been, and we would be thrilled to have you join us again in future activities!